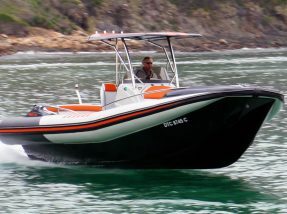 The Hysucat design used in centre console, fast RIBs and water transport boats offers the best features of a monohull and a catamaran combined. Although the boat behaves very much like a monohull, in turns it is running on an air cushion caused by air tunnels. At high speed, the boat rises out of the water and runs mainly on the centre hull. The side hulls stabilize the boat. 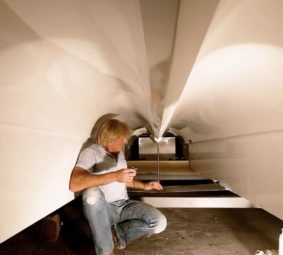 This reduces the wetted area on the hull, which in turn makes the craft more efficient, faster and allows the boat to run with smaller engines than an equivalent-sized monohull. The basic principle behind the Hysucat is an effective hydrofoil system in the tunnel between two demi-hulls. This consists of a main wing located in front of the length emphasis in keel height, supported by two smaller wings in the tunnel at the rear of the hull. 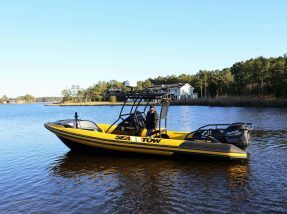 Due to its design, Hysucat vessels require smaller drive engines and they are much more economical in consumption, even in comparison to Deep V flyboats. The wing system ensures a strong absorption of vertical and pitch movements. The result is a smooth ride, even in rough waters. Such performance in rough seas is unique and unparalleled. A constant and gentle sliding and dipping in the waves is guaranteed. The hull remains stable during the entire voyage and shows no signs of hard impact in waves. Longer distances, even in rough waters, can be travelled without any major physical fatigue symptoms. 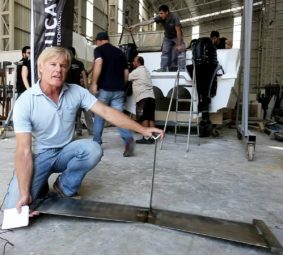 What further makes the Hysucat brand unique is its efficiency; the hull design has been tested and found to be up to 40 percent more efficient than conventional hulls. 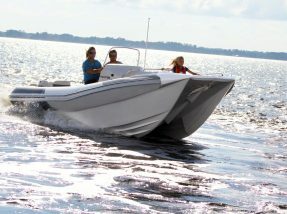 Effectively what the hull achieves is a smoother, faster, more economical boat. The centrally mounted hydrofoils lift the hull out of the water at planing speed, reducing the wetted-surface of the hull. This creates significantly less friction and performance is improved. The power required to plane the craft can be reduced and the savings translate directly into fuel savings. Engine life is also improved as it no longer has to work at high revs. 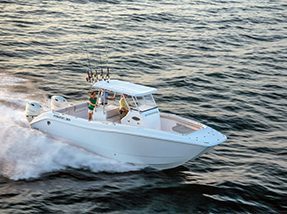 The end result is a much softer, smoother ride than via a conventional hull and the ability to achieve high speeds with rapid performance that can be seen even with relatively small horsepower engines. 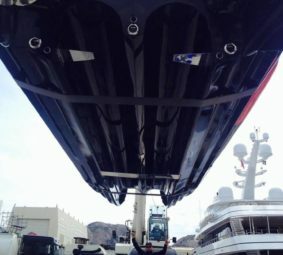 The basic principle of the Hysucat is an efficient hydrofoil system in the tunnel between the two hulls. 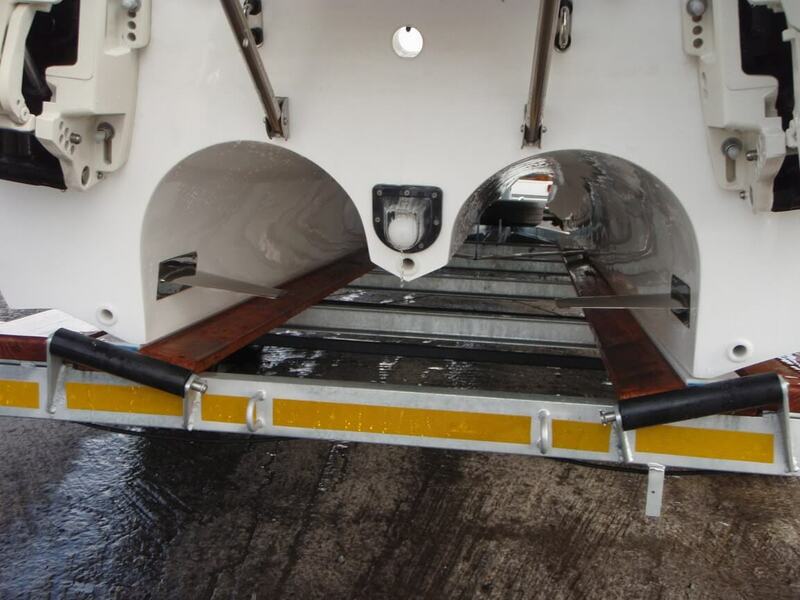 The hydrofoil system consists of a main foil which is located between and parallel with the bottom of the hulls, slightly forward of the craft’s centre of gravity. 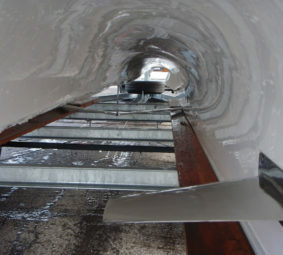 Aft, there are two smaller trim foils in the tunnel near the transom which act like tail wings on an aircraft to ensure a level planing attitude. The efficiency of the Hysucat is much greater than that of a comparable sized catamaran or monohull, especially when heavily laden and at high speeds. In 1980 tests on a Hysucat model were conducted in the towing tank at the University of Stellenbosch, South Africa, and the first test showed a resistance reduction of 40 percent due to the foils. This discovery led to the creation of the research project called Hysucat and has been active ever since, with constant improvements and upgrades for continuous optimization. 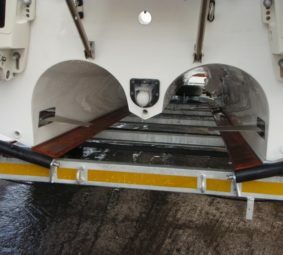 The Hysucat’s efficient main hydrofoil wing is located in the center of the boat and it’s supported by two smaller foils located at the rear of the tunnel. 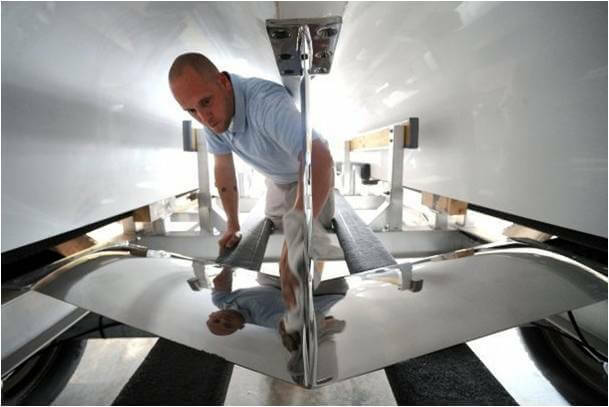 The foils produce lift (much like an airplane wing) that raises most of the boat out of the water. The proprietary foil and hull designs create improvements in sea-keeping and overall stability. The Hysucat ride is an unparalleled experience; the vessel always stays stable with no hard impacts in waves, resulting in a comfortable, more enjoyable ride, even in rough seas. The hydrofoil spans the catamaran hulls just below the surface of the water, parallel with but not below the hulls. 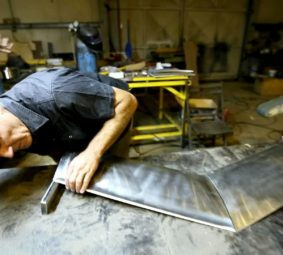 Like an aircraft wing, it has a streamlined pro file form which, when water runs over and below it, creates pressure differences on the upper and lower surfaces. With parallel flow over the wing (foil), pressure is negative on the top surface and positive on the lower surface and this generates force L, (called Lift) vertical to the inflow and a drag force D (called Drag), parallel to the inflow. 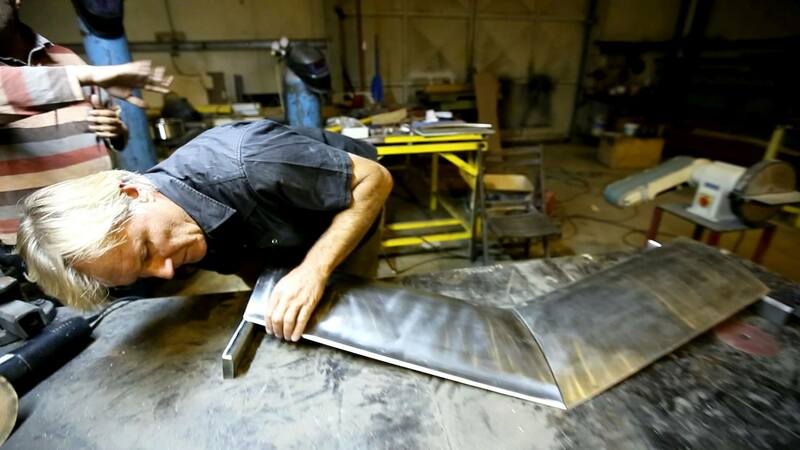 Such wings are used on aircraft wings, propeller blades, pump blades, fan/turbine blades and hydrofoil crafts. As soon as the craft is moving, the hydrofoils create dynamic lift which help raise the whole craft, thus reducing the wet area (drag), which provides two important outcomes: less resistance and increased buoyancy. 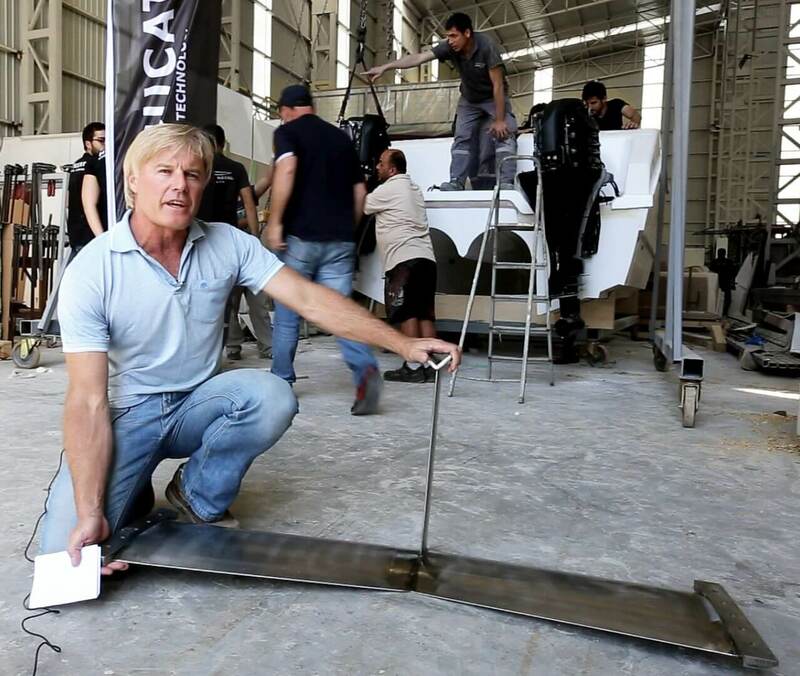 Because the efficiency of the hydrofoils is significantly better than a conventional boat (monohull or catamaran) without foils, the Hysucat can carry more weight at speed with less power. While the foils generate lift, they do not allow the hulls to totally leave the water. Coupled with the unique dynamics of the hull, the Hysucat displays extraordinary turning ability allied to secure straight line and transverse stability. The main hydrofoil fitted between the catamaran hulls acts like any classic foil operating in a fluid medium. The top surface generates a low pressure region, the lower surface a high pressure region and the mass of water flowing past the foil is deflected downward.The result is lift, generated and producing far more efficient hull planing surfaces – typically the Lift/Drag ratio of a planning hull is 4:1, while that of the hydrofoil is 20:1. In addition to producing lift and reducing drag, another characteristic of the main hydrofoil (also known as foil surface effect), is that the lift and drag reduce gradually, not suddenly, when the foil is passing through the water. 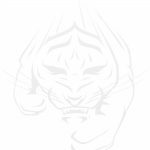 This provides the Hysucat with automatic trim stabilization and a progressive, soft ride. These act as trim devises at slow and medium speeds and run level with the water, helping the craft to attain planing speeds significantly quicker than any other craft. 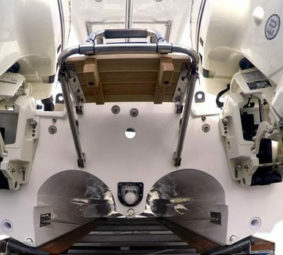 In addition, as speed increases they enhance the angle of attack of the hull to the water, significantly reducing the need to adjust engine trim at high speeds, until at very high speeds the rear foils are running on the surface with their lift capability switched off, thus creating no drag. 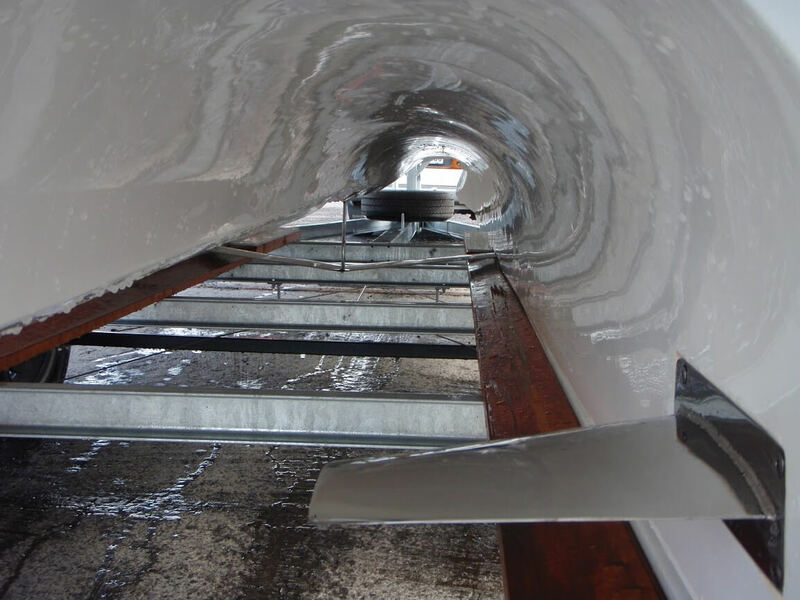 In general, the hydrofoils are protectively fitted between the catamaran hulls and are fitted to the hull keels as deep as possible to keep them fully submerged, but no lower than the keels – as they do not protrude below the hull, nor are they wider than the tunnel beam. Fitting Hysucat hydrofoils enhances operational functionality without any aesthetic constraints. The positioning of the foils is crucial to achieving correct dynamic stability (centre of gravity). This brings all components of the hull/main foil and trim foils into a cohesive combination. In addition, recent improvements to the Hysucat hull design have improved its sea keeping and rough water behavior. 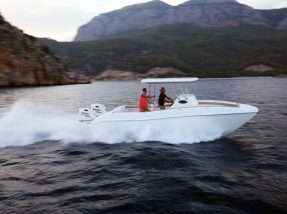 Combined with the latest foil system and stronger damping effect of the vertical and pitch motions, the new Hysucat boats outperform in a manner no similarly sized craft can emulate. Seasickness is kept to a minimum, whether the boat contains a single pilot or six passengers. The hydrofoils are designed to carry a maximum load at top speed, lifting the catamaran partly out of the water. The hulls carry a part load in order to produce sufficient longitudinal, transverse and course stability. At low speeds, the weight is mainly carried by buoyant force, whereas at high-speed dynamic forces carry most of the load and buoyancy forces are small. The magnitude of these physically different lift force components varies strongly with speed. This has a strong influence on the dynamic length stability of the Hysucat, which is compensated for by the special length-wise arrangement of the foils. 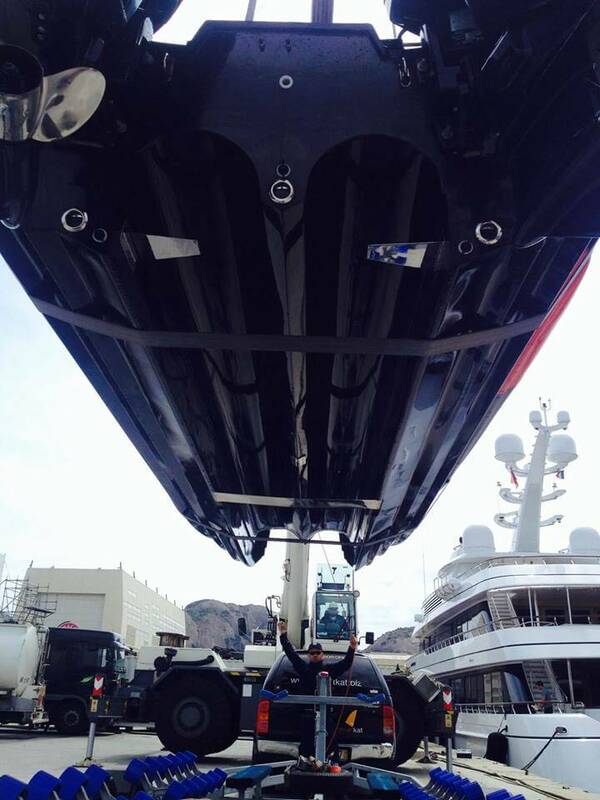 The hydrofoils in the Hysucat arrangement have much lower drag-to-lift ratios than the catamaran hulls themselves. The foils therefore carry the load far more efficiently. 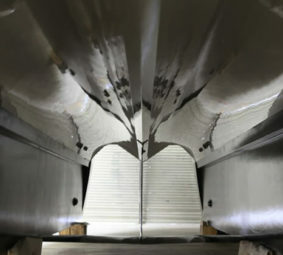 The combination of the hull with the foils results in a craft with drag-lift ratios between those of the hull and the foil. Such a hybrid is far more efficient than the catamaran. The larger the hydrofoil lift, the lighter the hulls will behave and the lower their resistance component. Well-designed hydrofoils have very low drag-lift ratios in the order of 0.03 to 0.5 depending on submergence. 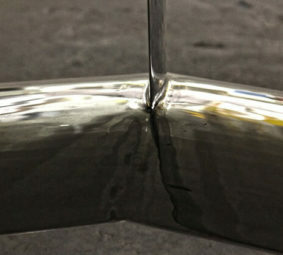 The foil lift is reduced gradually when the hydrofoil approached the surface at increased speeds. The so-called hydrofoil surface effect prevents the hydrofoil from popping out of the water at excessive speeds. 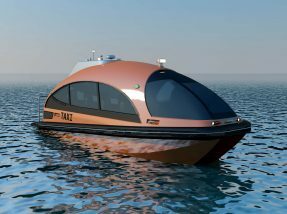 The foil runs at a certain submergence at which the lift forces and hull lift forces combine to balance the total craft weight. The seating configuration and console design are flexible, enabling the customer to make his or her own choice from available options, including a full range of seats and stainless steel accessories.